Liquid Studio Data Mapper is a powerful data mapping tool that allows you to integrate, map and transform your data between multiple data sources and targets. Provides a graphical visualization of data mapping between multiple data sources and targets. Map data fields using an intuitive drag and drop UI. 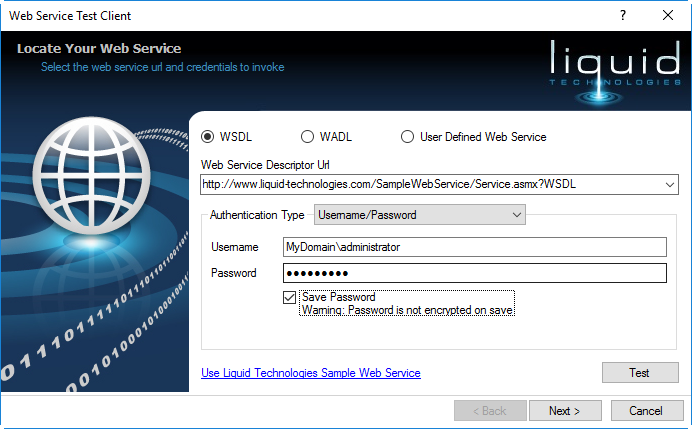 Support for Databases, EDI data, JSON data, Text Files, Web Services and XML data. Execute transform within Liquid Studio or generate mapping code for use in your own application. 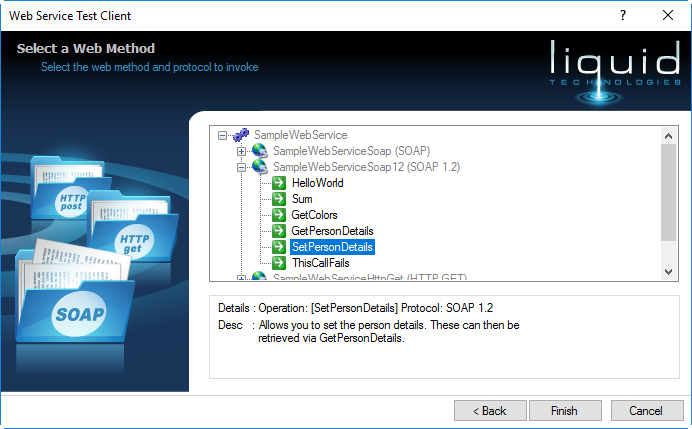 Step through debugger with breakpoints, stack trace, state and variable watch windows. Generate mapping code in XSLT or C#. Ideal for integrating with legacy systems. The transformations are ideal for converting legacy data to new data formats, or for inclusion as part of your data pipeline, transforming data between diverse, heterogeneous systems. 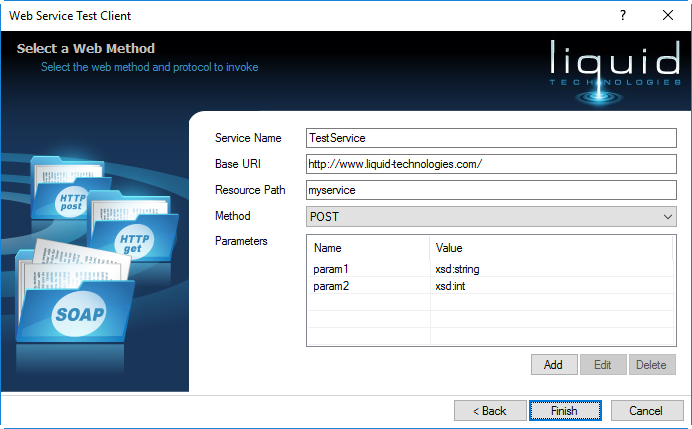 Each transform can be executed within the Liquid Studio environment and debugged by single stepping through them to display the internal state of the engine to be viewed, and path of execution. The transform can also be executed within your own application by generating XSLT or C# source code. Data can be read and written between multiple different data sources and data targets. The Liquid Data Mapper is a flexible data transformation and mapping tool. 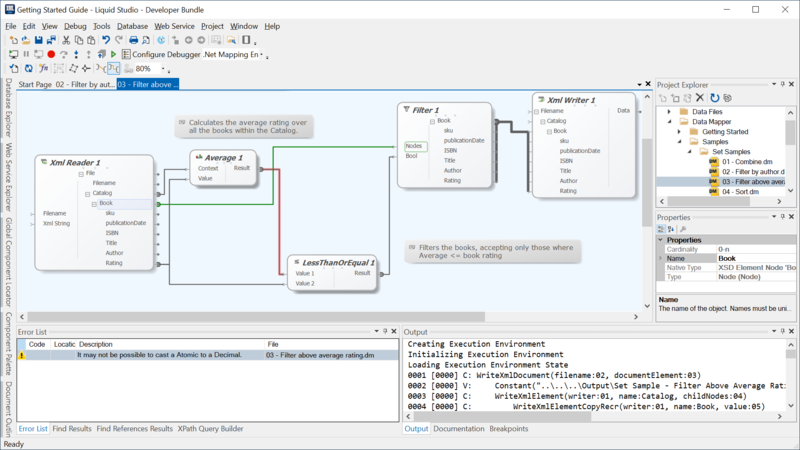 Data reader and writer components for SQL Server, Oracle, MySQL, JSON, CSV, Web Services and XML provide the power and flexibility to produce any combination of mapping, even combining data from multiple sources. 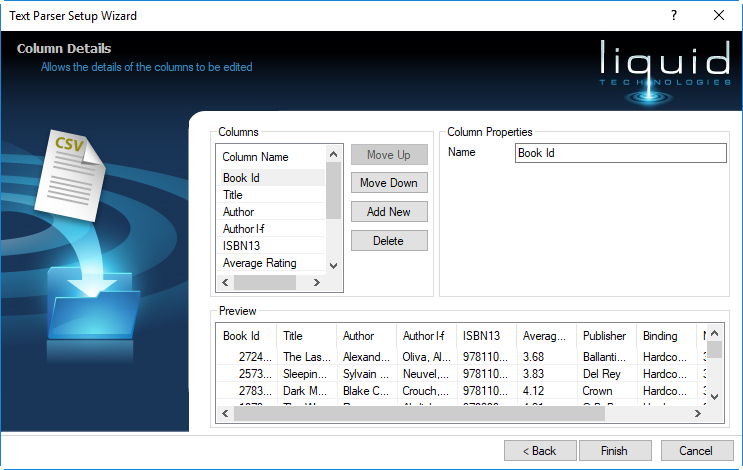 Once added, the Database reader can be expanded to access tables with constraints/relationships defined within the database. The Database reader supports SQL Server, Oracle, MySQL, Access and ODBC data sources, simply use the wizard to connect to your data source. 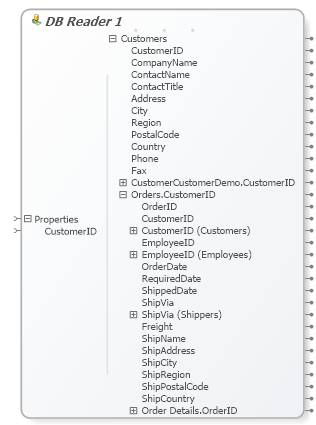 The database schema structure is then represented hierarchical in the data mapper using the relationships and constraints defined within the database. 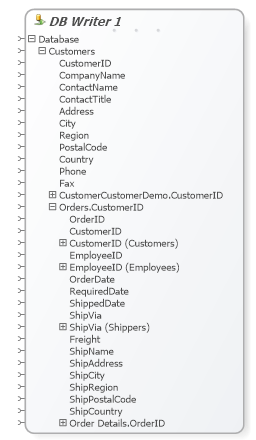 Standard components allow the database results to be sorted, filtered, grouped, aggregated etc. Once an data writer is connected (SQL Server, Oracle, MySQL, JSON, CSV, Web Services or XML), it is possible to start graphically building the transform, dragging data from the source to the target. 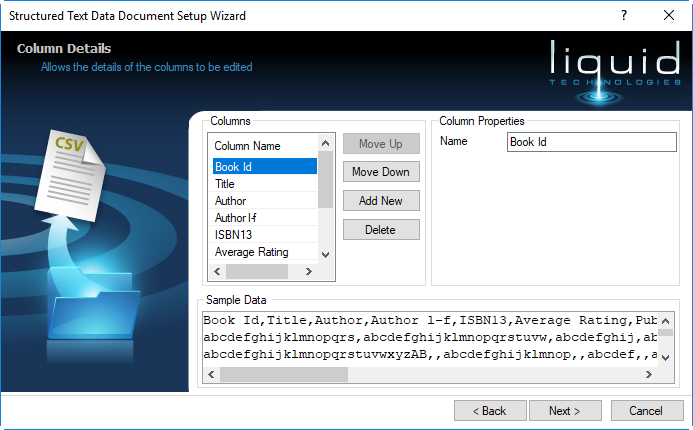 A simple wizard is used to add the Database reader to the transform. The wizard makes it possible to select a data source and then select the data table or view to be used within the transform. 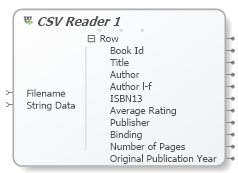 Once added, the Database writer reads its structure from the database schema, representing related tables as child items along with there appropriate cardinality. The Database writer supports SQL Server, Oracle, MySQL, Access and ODBC data sources, simply use the wizard to connect to your data source. The database schema structure is then represented hierarchical in the data mapper using the relationships and constraints defined within the database. 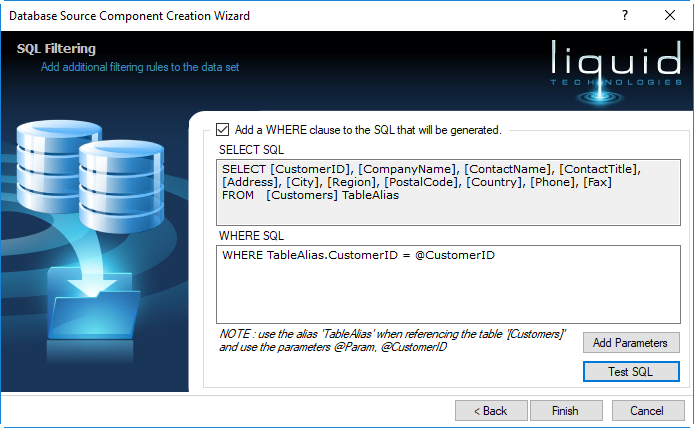 A simple wizard is used to add the Database writer to the transform. The wizard makes it possible to select a data source and then select the data table or view to be used within the transform. 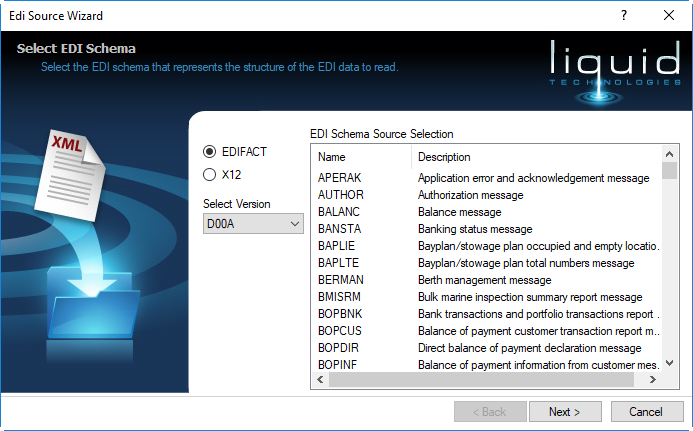 Once added, the EDI reader can be expanded to access the data within the EDI specification selected. Once a data writer is connected (SQL Server, Oracle, MySQL, JSON, CSV, Web Services or XML), it is possible to start graphically building the transform, dragging data from the source to the target. A simple wizard is used to add the EDI reader to the transform. 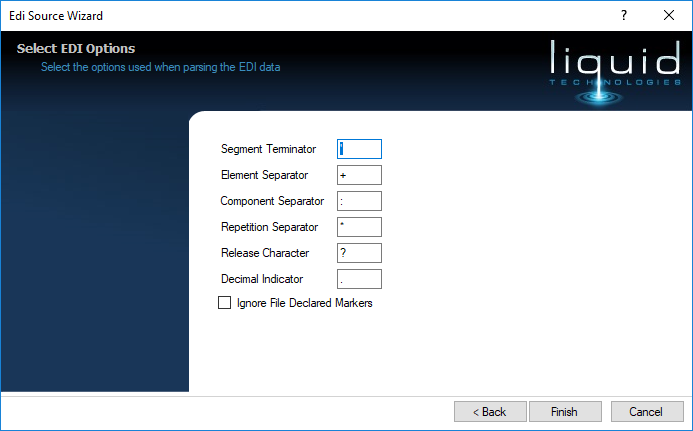 The EDI specification can then be selected from a list, and any non-standard separators, indicators and terminators can be configured. 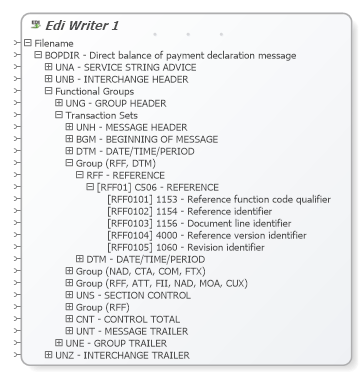 Once added, the EDI writer can be expanded to access the hierarchy of the EDI specification selected. The EDI reader supports EDIFACT and X12 standards, simply select the appropriate EDI specification using the intuitive wizard, and the EDI target is represented in the data mapper as a hierarchical data target. 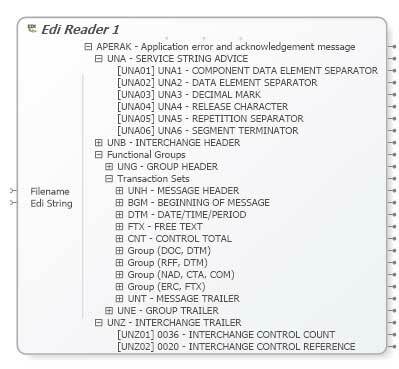 Connections made to the inputs on the writer will cause data to be copied to the target EDI file. 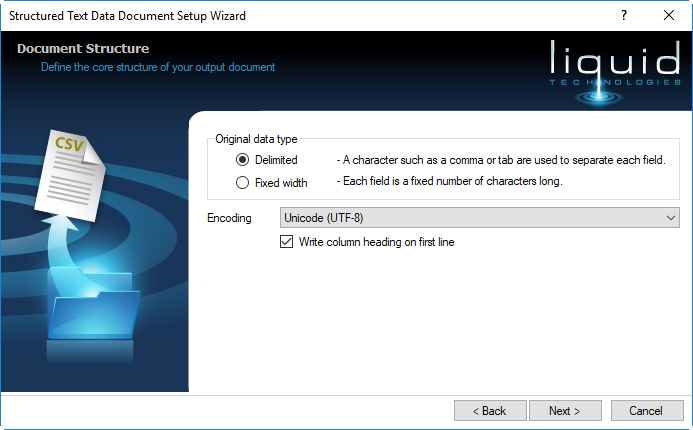 A simple wizard is used to add the EDI writer to the transform. 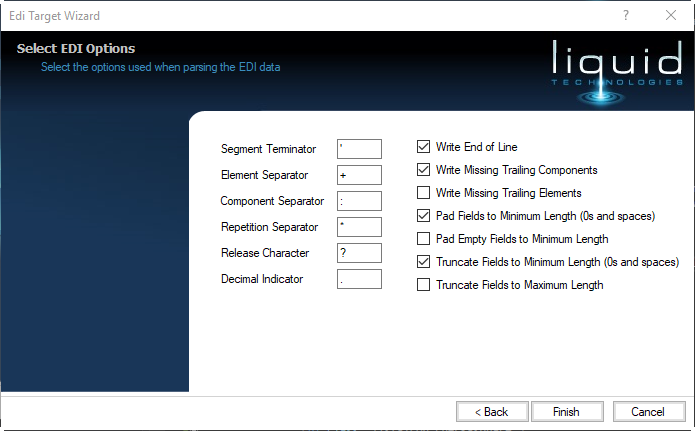 The EDI standard can be selected, as well as providing the ability to configure non-standard separators, indicators and terminators. 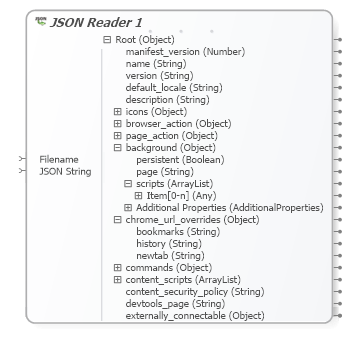 Once added, the JSON reader can be expanded to access the data specified in the associated JSON Schema. The JSON data mapper component requires a JSON Schema to describe the data being read. If you do not have a schema then one can be inferred from sample JSON documents. The JSON reader supports the Internet Engineering Task Force draft 4.0 JSON Schema Standard. A simple wizard is used to add the JSON reader to the transform, you need to specify the JSON schema that describes your data. If you don't have a schema file, then you can infer one from sample JSON data using the JSON Schema Inferring tool. You also need to specify the location where the JSON data will be read from when the transform is executed. Once added, the JSON writer can be expanded to access the data described in the associated JSON Schema. The JSON data mapper component requires a JSON Schema to describe the data being written. If you do not have a schema then one can be inferred from sample JSON documents. The JSON writer supports the Internet Engineering Task Force draft 4.0 JSON Schema Standard. A simple wizard is used to add the JSON writer to the transform, you need to specify the JSON schema that describes your data. If you don't have a schema file, then you can infer one from sample JSON data using the JSON Schema Inferring tool. You can also specify a location where the JSON data will be written to when the transform is executed. Once added, the Text reader shows the structure of the document. The structure of the data to be read by the text data mapper component must be defined before it can be used. If the source data contains headings then this structure can be created from a sample data file. 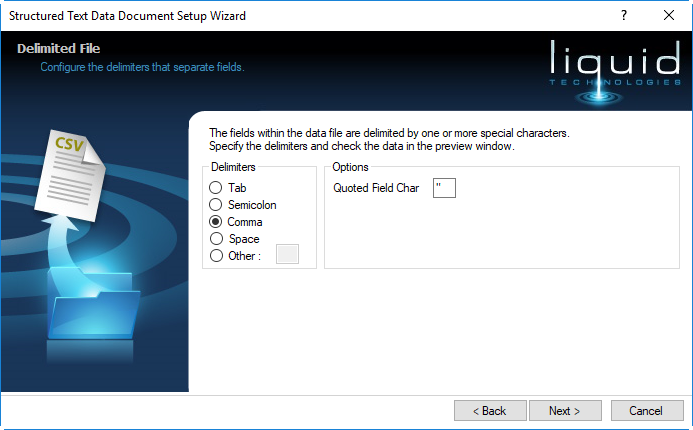 Options provide the ability to specify the formatting of the data (separated or fixed width fields), and separators and other options can be configured. The structure can also be created or modified manually, providing complete flexibility. Although the structure of the data read is always flat, a hierarchical structure can be imposed on it using the group by component. A simple wizard is used to define the data structure, this is automatic if a sample file is provided with headers and data, but can be created from scratch or tweaked if required. 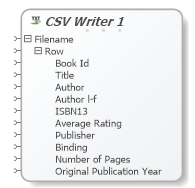 Once added, the Text/CSV writer allows formatted data to be written to a target file. A simple wizard is used to define the data structure, this is automatic if a sample output file is provided with headers and data, but can be created from scratch or tweaked if required. Once added, nodes within the XML reader can be expanded to access the child elements and attributes within the hierarchy of the XML document. The XML reader gets the structure of the data from an XML Schema (XSD, XDR, DTD) which can be inferred from sample XML data if one is not available. 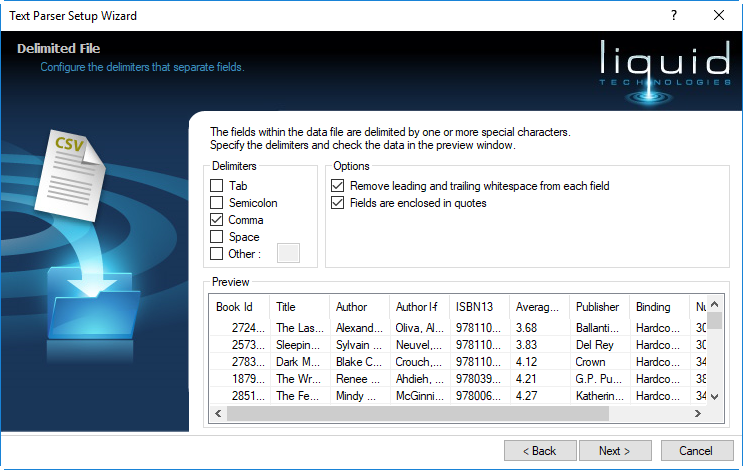 The nested data within the XML document can then be accessed by expanding the fields on the XML Data Source component. 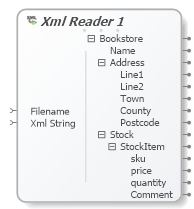 The XML reader supports W3C XSD 1.0, Microsoft XDR, and W3C DTD standards. A simple wizard is used to add the XML reader to the transform, you need to specify the XML schema that describes your data. If you don't have a schema file, then you can infer one from sample XML data using the XML Schema Inferring tool. You also need to specify the location where the XML data will be read from when the transform is executed. Once added, the XML writer can be expanded to access the data described in the associated XML Schema (XSD, XDR, DTD). 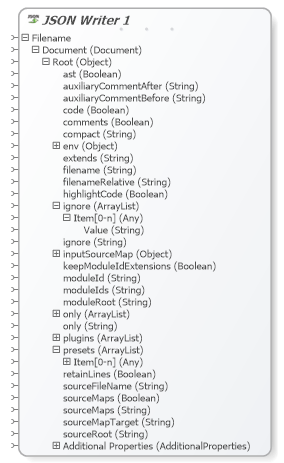 The XML data mapper component requires an XML Schema to describe the data being written. If you do not have a schema (XSD, DTD, XDR) then one can be inferred from a sample XML document. A simple wizard is used to add the XML writer to the transform, you need to specify the XML schema that describes your data. 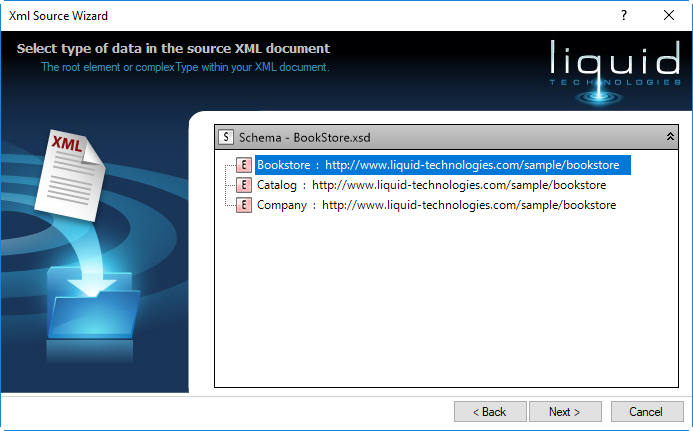 If you don't have a schema file, then you can infer one from sample XML data using the . 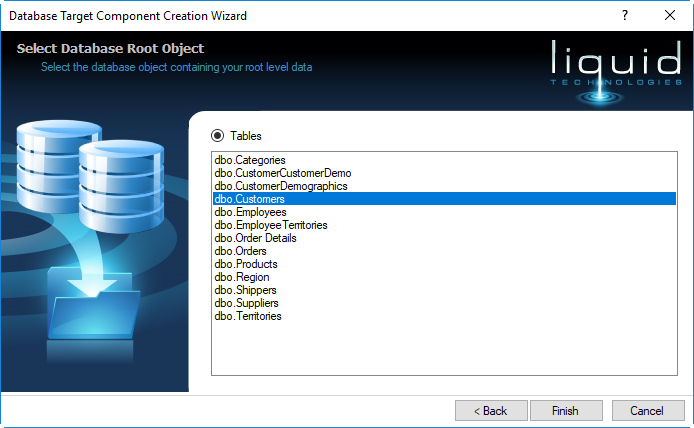 Then select the root element in the document you want to create and specify a location where the XML data will be written to.